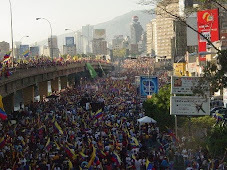 This blogger has been one week in Caracas. He did not find milk anywhere he looked for. In fact, he was refused twice a "cafe con leche grande tibio" because the joint he was at could not find milk. This following several weeks in San Felipe where he could find milk at best once a week. The considerable land redistribution has affected the production of meat an milk all across Venezuela. Production of meat is down 30% from 1998. So, as people have more money to buy, there IS LESS product available thanks to the disastrous agricultural policies of chavismo. The efforts to produce more milk and meat have failed because the state is such a poor instructor, such a poor manager, so poor in fact that the peasants end up eating the cattle given to them, when they can keep it alive long enough. The private sector refuses to invest in dairy and meat production because the price of milk is regulated, they do not want to sell below the price it costs them to produce and because, simply, they do not know when chavismo is going to take away their investment without adequate compensation. Besides they can sell all their milk to cheese makers who are willing to pay the fair price and thus we have still enough cheese to eat even if the milk production has gone down. Will the government ban the production of cheese to provide milk to children? Will we get ration cards? But milk is everywhere to be found, if you are willing to pay the price. That is, if you go to the side walks of Caracas, you can not only find the brands that you do not find in stores, at a 2 to 4 times mark up in price, but you can even find informal merchants, buhoneros, spliting cans of powder milk in small zip lock bags to sell lesser amounts for those who just want their "cafe con leche" and are unwilling to pay full price for a full can. 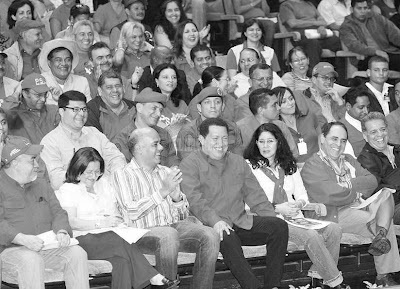 That is all you need to know to figure out by yourself the total failure of Chavez economic policies. If the government had an ounce of common sense it would let the price of milk float free and limit the purchase of subsidized milk to the lower sectors of the population. In fact I would not mind paying a tax on my "cafe con leche" at cafes to subsidize the poor. Just let me get my coffee!!!!!!! !